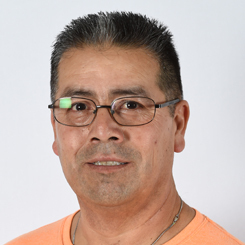 Albert started at Gold Star in the winter of 2013. He had coached a variety of sports teams in and around Sunnyvale before joining our staff. He has certifications in USA Gymnastics Safety, Hands-On Teaching for Preschool and Recreational gymnastics, First Aid, and CPR. If he’s not at the gym, Albert loves to take fishing trips and visit Disneyland, but probably not both together.